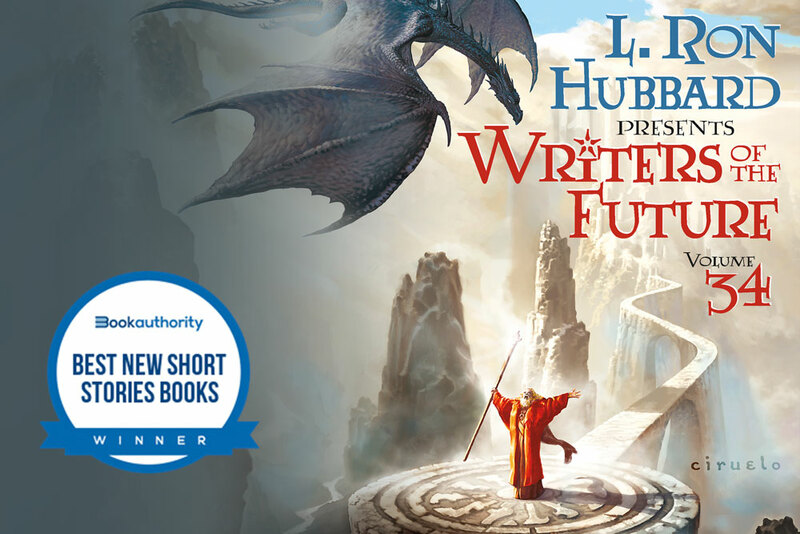 I’m happy to announce that our book, L. Ron Hubbard Presents Writers of the Future Volume 34, the #1 bestselling sci-fi and fantasy short stories of the year, made it to BookAuthority’s Best New Short Stories Books. BookAuthority collects and ranks the best books in the world, and it is a great honor to get this kind of recognition. BookAuthority uses a proprietary technology to identify and rate the titles they select, using dozens of different signals, including public mentions, recommendations, ratings, sentiment, popularity, and sales history. So, thank you for all your support! 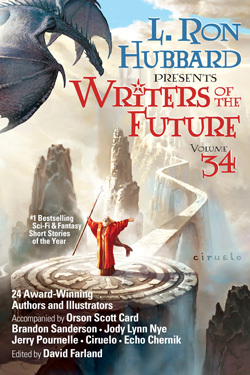 Writers of the Future Volume 34 is available for purchase on Amazon, Barnes & Noble, iBooks, Kobo, Indiebound, Books-a-Million, or wherever fine books are sold. We also have a special online offer for the book here. 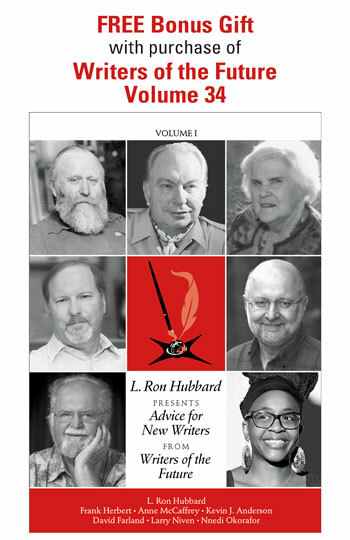 While L. Ron Hubbard Presents Writers of the Future Volume 34 is the latest release, it has a long and successful history preceding it. In 1983, in recognition of the difficult road to success that new writers had to face in an ever-competitive publishing environment, L. Ron Hubbard “initiated a means for new and budding writers to have a chance for their creative efforts to be seen and acknowledged.” And so began the Writers of the Future Contest, endowed with significant prize money and judged by giants of the field of science fiction and fantasy. Winners are then published in the annual anthology. This came about after surveys at several SF conventions showed that almost 25% of attending fans harbored a secret dream to become writers themselves. L. Ron Hubbard had a long track record of helping young writers, having carried on lengthy personal fan mail correspondence, writing numerous how-to articles in writers‘ magazines, even forming and directing a small amateur writer contest earlier in his career. So, it is not surprising then to discover the number of well-known authors who got their start through the Contest. Authors such as David Farland, Eric Flint, Dean Wesley Smith, Patrick Rothfuss, Nnedi Okorafor, Sean Williams, Elizabeth Wein, Nina Kiriki Hoffman, Tobias Buckell, Myke Cole, Julie Frost, Aliette de Bodard, Ken Liu, David Sakmyster, James Allen Gardner, L.D. Colter, Patty Jansen, Ilsa Bick, Diana Rowland, Jo Beverley, and Karen Joy Fowler, to name but a few. This anthology is unlike any other of its kind. Every year the publication of winning short stories also includes articles and essays from seasoned professionals—New York Times and international bestselling authors and world-renown artists—with advice and tips on the craft and business of writing and illustrating. For this reason, the Writers of the Future series is popular with sci-fi and fantasy readers as well as novice writers and artists, looking for a helping hand to launch their career. 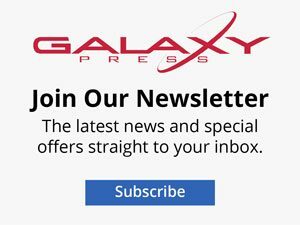 By way of example, Volume 34 features articles, essays and short stories by L. Ron Hubbard, Orson Scott Card, Brandon Sanderson, Jody Lynn Nye, Jerry Pournelle, Ciruelo, and Echo Chernik. In this volume you’ll meet this season’s selection of new authors—names you will want to follow after reading their stories—Erik Bundy, Erin Cairns, Jonathan Ficke, Jeremy TeGrotenhuis, Vida Cruz, Darci Stone, Cole Hehr, Janey Bell, Eneasz Brodski, N.R.M. Roshak, Diana Hart, and Amy Henrie Gillett. Three years after the first Writers of the Future Awards ceremonies, in 1988, a parallel contest for novice illustrators was launched. The Illustrators of the Future Contest boasted science fiction legend Frank Kelly Freas as its first Coordinating Judge. The Contest has likewise had a long and successful run in training and encouraging many of the brightest stars in sci-fi and fantasy illustration. And, starting with Volume 30, the book contains not only the black and white illustrations but also a 16-page color gallery of the art from the Illustrators of the Future Contest winners. Each winner is assigned a story to illustrate and from these pieces of art, a grand prize winner is selected. In Volume 34 you will meet the talents of artists Bruce Brenneise, Duncan Halleck, Anthony Moravian, Adar Darnov, Reyna Rochin, Brenda Rodriguez, Alana Fletcher, Maksym Polishchuk, Jazmen Richardson, Quintin Gleim, Sidney Lugo, and Kyna Tek. Artist Ciruelo provided the enchanting cover art you see featured here. Known for his fantasy paintings, Ciruelo is perhaps best known as the illustrator of The Official Eragon Coloring Book. Based on the painting, author Jody Lynn Nye wrote a story entitled “Illusion” which is included in Volume 34. By the way, for those of you who don’t know, Jody was co-author with Anne McCaffrey on many projects including The Dragonlover’s Guide to Pern and so has her own history with dragons.